During the month of January, CatholicTV will air three Masses from the Vatican as well as Vespers service. Masses and Vespers will air at CatholicTV.com and on CatholicTV cable outlets. After they are broadcast, these programs will also be archived at CatholcTV.com for viewing anytime. On December 31st, a unique crisis pregnancy center in West Palm Beach, Florida will be discussed on the live CatholicTV talk show “This is the Day”. Miracle House has a special story which began with the prayers and extraordinary generosity of donors. The building’s cost was $1 million and renovation costs were estimated to be $500,000. The Miracle House Center in West Palm Beach has a chapel, and currently provides counseling to pregnant women and also is a place to go for people interested in volunteering and learning more about pro-life ministry. The unique center also will soon provide sonograms and pregnancy testing as well. A tabernacle is currently being made for the chapel, where Masses will be offered. The building itself is less than one block from a large abortion provider which performs 6.500 abortions per year at the location in West Palm Beach. 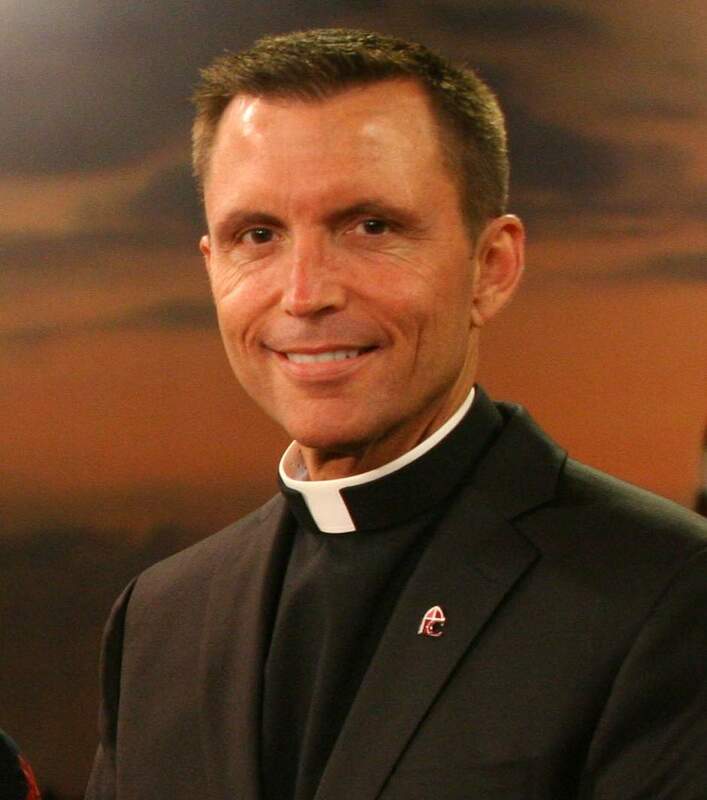 On December 22nd, CatholicTV will air the Installation Mass of the Diocese of Orlando’s new Bishop, John Noonan. 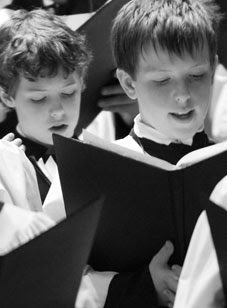 This Installation Mass will air at CatholicTV.com and on CatholicTV cable outlets at noon and 8 p.m. Eastern. Bishop Noonan was installed as Bishop of The Diocese of Orlando on December 16th, 2010. In his first homily as Bishop of Orlando, Noonan said, “From the lowest to the highest, we must become aware and listen to the voices of the silent and forgotten among us," he said, with his Irish accent. "We cannot continue to divide — divide in such a way that we do not understand that love is what unites us. God is the foundation of all hope." 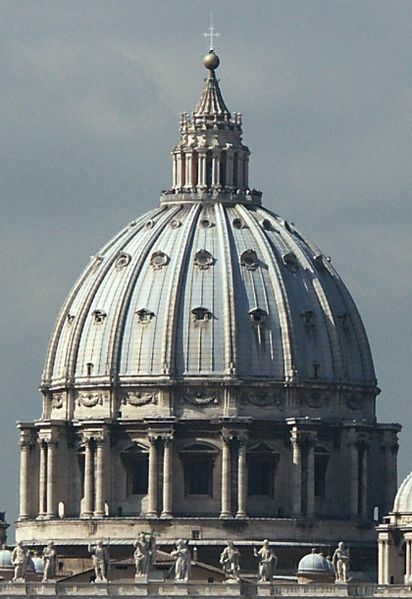 Footage of other major events in the American Catholic Church and the Vatican can be viewed at http://www.CatholicTV.com/catholic-television.aspx. Our celebration of the birth of Jesus Christ brings joy to the world at the end of each year, and as we begin a new year we cannot help but be emboldened by hope in what the weeks and months before us hold. Last fall we had the wonderful opportunity to be in Rome with our HD cameras, and as we begin a new year we have the privilege to bring that programming to you. You will have the chance to tour the city and experience its antiquity and its Catholicity. We will pray the mysteries of the Holy Rosary in new locations dear to us in the Faith. And as the cover of this January edition of our magazine suggests, we will have the opportunity to go behind the scenes at the Vatican with the Pope! House+Home, our reality series, arrives in Vatican City this month and the Swiss Guard allow us inside to see how Pope Benedict and his staff make an apostolic palace into a home where faith, hope and love reside. You’ll get to experience a typical day in the life of the Holy Father as cameras wind through the hallways of the Papal residence. and I will visit many of the places that make Rome such a destination for pilgrims and students and tourists alike. It will be as if you are visiting the Eternal City right in your living room or on your computer screen. And we will pray the Rosary and celebrate Mass at the major basilicas of Rome, and even at the very tomb of St. Peter the Apostle. All of this and our new weekly show, ClearVoice (with John Monahan and Christine Caswell) fill this new year with hope and the promise of more and exciting things to come your way on America's Catholic Television Network: CatholicTV! On December 24th, CatholicTV will air a special episode of the talk show “This is the Day”. Most episodes of This is the Day are produced in the CatholicTV studios near Boston, but this episode will be partly produced from Vatican City. As usual, This is the Day will include news reporting by CatholicTV Senior Producer Kevin Nelson. The weekly CatholicTV treasure will be revealed only after a riddle will clue the audience into what the CatholicTV treasure is. On December 28th, Nancy Makin will be interviewed on the live CatholicTV talk show “This is the Day”. Nancy will discuss the amazing story of how she lost more than 500 pounds and how she “got her life back”. Nancy has told her story on the Oprah Winfrey Show, Good Morning America, and other media outlets. Nancy has shared her unlikely experience of rebirth, of recapturing her long forgotten self-worth, and that discovery’s resultant 530 pound weight loss with joy, humor, and with the rare perspective that can only come from one who’s lived it. 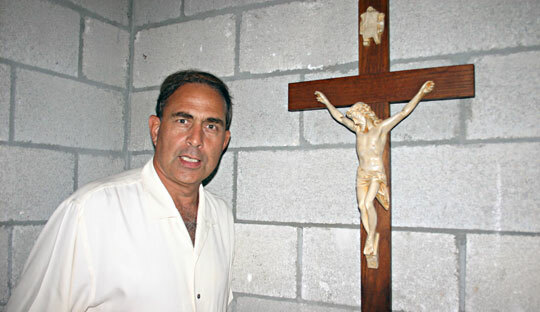 Also to be interviewed on This is the Day will be Bishop Gerald Barbarito of Palm Beach, Florida. Bishop Barbarito will discuss evangelization, pro-life ministry, and more. Bishop Gerald M. Barbarito was installed as the fifth Bishop of the Catholic Diocese of Palm Beach on August 28, 2003. Bishop Barbarito was appointed Auxiliary Bishop of Brooklyn by Pope John Paul II on June 28, 1994. He was ordained a bishop on August 22, 1994, by Bishop Thomas V. Daily. Bishop Barbarito was assigned as Regional Bishop for Brooklyn Vicariate East as well as Vicar for Ministry for the Diocese of Brooklyn. As Vicar for Ministry, he assisted with the ongoing formation of priests in the diocese. His office was in the Marine Park section of Brooklyn. Starting in January, CatholicTV will air a new series called “Building Our Faith”. This series, which is new to CatholicTV, uses scripture as a guide to help Catholics deepen their relationship with God. Building Our Faith explores such themes as eternal life, prayer, and faith. Building Our Faith is hosted by Joe Curto. 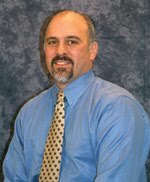 Beginning in 1989, Joe has served as the Sr. Coordinator of Adult Bible Study in three different parishes. 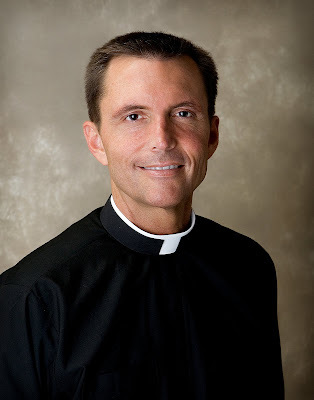 He has spoken hundreds of times, helping Catholics deepen their personal relationship with the Father, Son, and Holy Spirit. Currently a parishioner at St. Francis De Sales Church in Purcellville Virginia, Joe has served on the Pastoral Council for 3 years and currently conducts a weekly Adult Bible Study, and facilitates the Charismatic Prayer Group “Refuge.” In addition, Joe Serves the Diocese of Arlington as a board member of the Charismatic Renewal Service Committee (CRSC). Joe is a native New Yorker and is married to his high school sweetheart Maureen and is the father of five daughters. On December 16th, CatholicTV will air Vespers with the university students of Rome in preparation for Christmas. 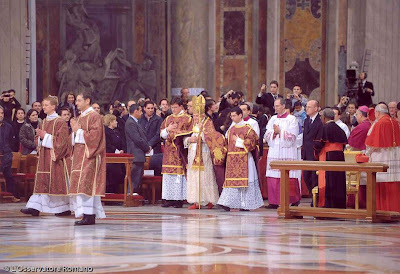 Pope Benedict will preside over Vespers. This will take place in the Vatican Basilica. Vespers will air at CatholicTV.com and on CatholicTV cable outlets at 8:30 p.m. and will be rebroadcast at noon the following day. Commentary for the CatholicTV broadcast will be provided by Father Robert Reed, a former student of the Pontifical North American College in Rome, and President of the CatholicTV Network. On December 21st, Karina Fabian will be interviewed on the live CatholicTV talk show “This is the Day”. 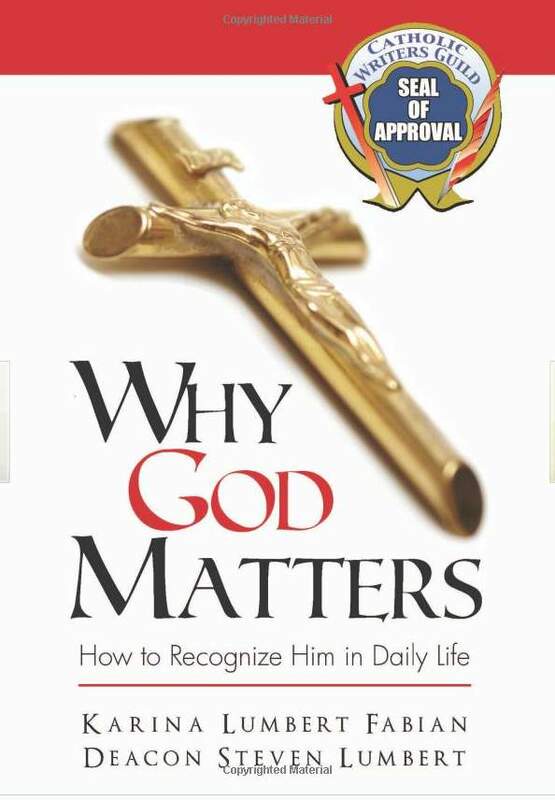 Karina and her father, Deacon Steven Lumbert are co-authors of the book “Why God Matters”. 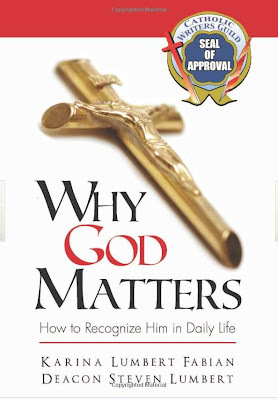 This new book speaks of growing closer to God from the perspective of two “average” people who come to know God through normal circumstances. Deacon Lumbert speaks of conversion by describing his own, while Karina describes growing closer to God from the viewpoint of a cradle Catholic. Starting in January, CatholicTV will air new episodes of the show “Word on Fire”. These new episodes will include Fr. Barron’s answers to what he calls the “YouTube Heresies”. New episodes of Word on Fire will also include interviews of actor Eduardo Verástegui, professional golfer Chip Beck, and discussion about creationism, the fall, and much more. On December 14th, author Jim Anderson will be featured on the CatholicTV Talk Show “This is the Day”. 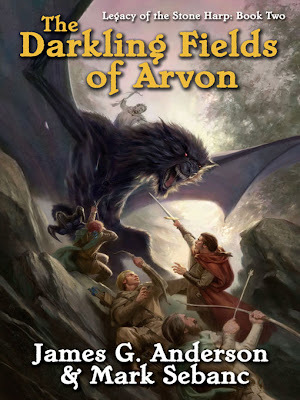 Jim is co-author of a fiction series which takes place in the ancient fantasy world of “Ahn Norvys”. He and co-author Mark Sebanc have recently released the 2nd book in the Stone Harp series called “The Darkling Fields of Arvon”. A teacher, musician, and poet, Jim earned both Bachelor and Master of Arts degrees from Franciscan University of Steubenville in Ohio. He, his wife, Lisa, and their three sons make their home on the Canadian prairies, not far from Saskatoon, Saskatchewan, where they work with the St. Therese Institute of Faith and Mission. Mark Sebanc has worked as an editor and translator, with several books to his credit. He holds Bachelor and Master of Arts degrees in Classics from the University of Toronto, and lives with his wife and children in the Upper Ottawa Valley of Ontario, Canada. Also featured on This is the Day will be Amanda Graf, a missionary who ministers to students at the Massachusetts Institute of Technology (MIT). Amanda is a missionary with the Fellowship of Catholic University Students (FOCUS). FOCUS is a national outreach that meets college students where they are and invites them into a growing relationship with Jesus Christ and the Catholic faith. Rooted in Sacred Scripture and Sacred Tradition, FOCUS was born out of a passion and zeal to share how a relationship with Jesus Christ and the Catholic faith can transform the world. Beginning with America’s future leaders, FOCUS sends teams of young, trained, missionaries to the college campus in order to reach students with the gospel. In partnership with the university parish and/or Newman Center, FOCUS missionaries host large group outreach events, weekly Bible studies and offer one-on-one mentoring with student leaders. I have a personal secret to share with you: I love Play-Do, I always have. It comes in a number of different colors, it is non-toxic, it can be molded and shaped, you can make different colors by mixing and if you leave it out of the container or fail to put the cover on tight it hardens into whatever shape you left it. Most of all, I love it because it smells good. In fact, I have been known to open up a container in a toy store only to catch a whiff. Now, I say: “I love Play-Do”, but you really can’t love Play-Do! But we can love one another, and we can certainly learn to love God. Without a doubt, God loves you and me. God made us…He formed you from the elements, the “the clay” of this world. By the greatest wonder, the most marvelous miracle ever, from a lot of water and a bunch of chemicals the Creator formed you physically and, at the same time, breathed into you a living, human spirit – an eternal soul. You and I, we are kind of like Play-Do – we are beautiful to God…maybe we even smell good to God? Now we have begun again the cycle of the Church’s year - Advent and Christmas. Lent and Holy Week and Easter, the many feasts of Mary and the Saints. Through all of these days and weeks and months, God is inviting us to be molded and refashioned according the image of His Son. God is trying to make something beautiful of us, to make us like children, His Children. How is God doing this? 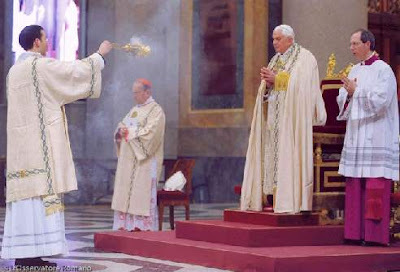 Certainly the Church and the Sacraments, especially the Eucharist have a powerful and mysterious influence upon us. Our families: God works through our families (and the holidays serve to remind us all of where we came from). Our children, certainly by their presence and their innate goodness, God continues to shape us. God can even use us as instruments to mold and reshape our friends and even total strangers. And the Word of God cuts through us like a knife. As we light each successive candle on the Advent wreath, remember: there is still some time! There is still time, not just to go shopping for gifts. There is still time for God to mold us. There is still some time before Jesus returns in glory, to judge us.